David Birnbaum is a conceptual theorist. His first work God and Evil (KTAV, 1988) is considered by many to be a breakthrough modern day classic in the field of theodicy. See God-And-Evil.com. See also tape series: PotentialismExegesis.com. Birnbaum is known globally as “the architect of Potentialism Theory” – a unified philosophy/cosmology/metaphysics. The paradigm-challenging theory (see ParadigmChallenge.com) is delineated in Birnbaum’s 3-volume Summa Metaphysica series (1988, 2005, 2014). See Philosophy1000.com. A riposte to Summa Theologica of (St.) Thomas Aquinas, the Birnbaum treatise challenges both the mainstream Western philosophy of Aristotelianism and the well propped-up British/atheistic cosmology of Randomness. See PotentialismTheory.com. The focus of over 150 reviews and articles, Summa Metaphysica has been an assigned Course Text at over 15 institutions of higher learning globally. See SummaCoverage.com. 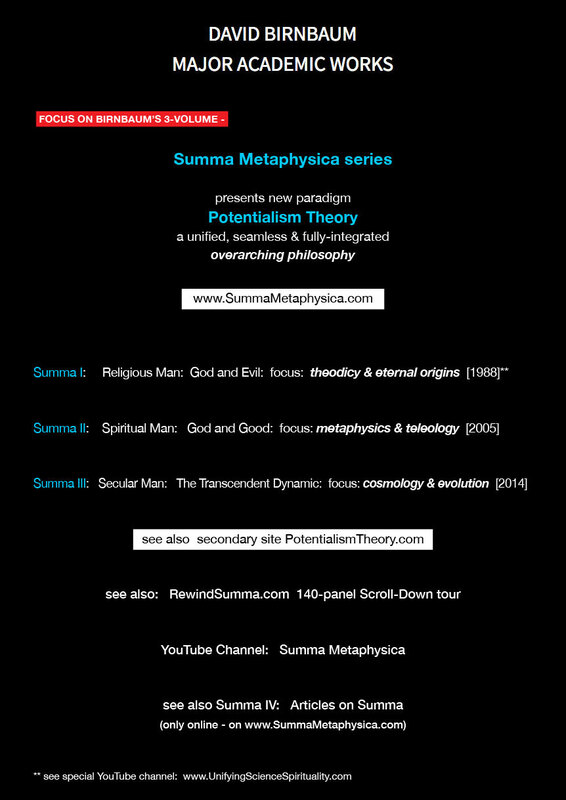 Summa Metaphysica was the focus of an international academic conference on Science & Religion in April 16-19 2012 (see Conference1000.com). The work has been very widely covered globally. See RewindSumma.com. David Birnbaum is the Editor-in-Chief of the in-progress Mesorah Matrix series on Jewish thought and spirituality. 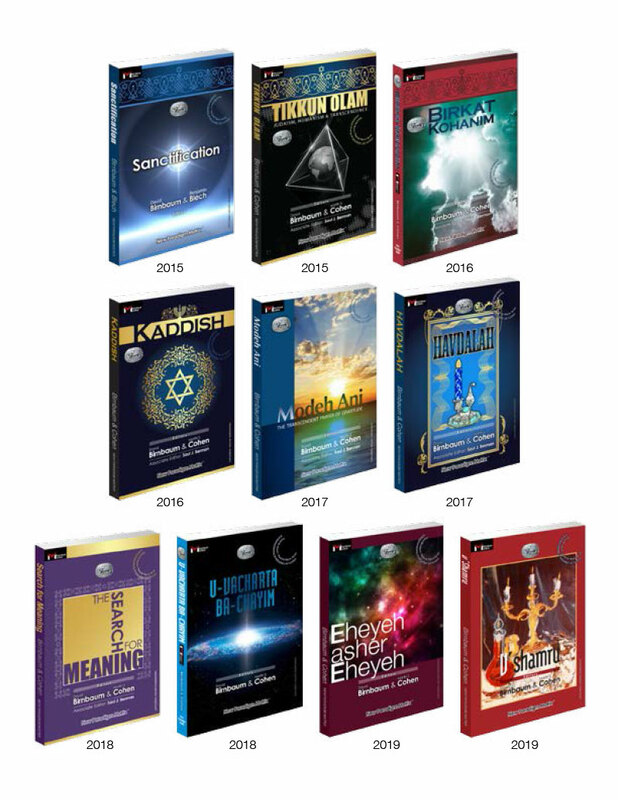 The series spans 10-volumes with 10 respective themes and includes hand-selected pieces from 150+ global Jewish thought leader essayists. See Mesorah1000.com. In the history realm, David Birnbaum is the author/chronicler of the 2-volume The Crucifixion – of the Jews, and of the 7-volume Jews, Church & Civilization. His Crucifixion series, in particular, traces a direct trajectory from the Canon Gospels in the First Century to Auschwitz in the Twentieth. See History1000.com. David Birnbaum has served on the faculty of the New School for Social Research in Manhattan. He is a graduate of Yeshiva University High School (Manhattan), CCNY (City College of New York – Engineering) and Harvard. His commentary blog is www.ManhattanObserver.com. The David Birnbaum Summa Metaphysica philosophy treatise proposes an original philosophical theory unifying science and religion. 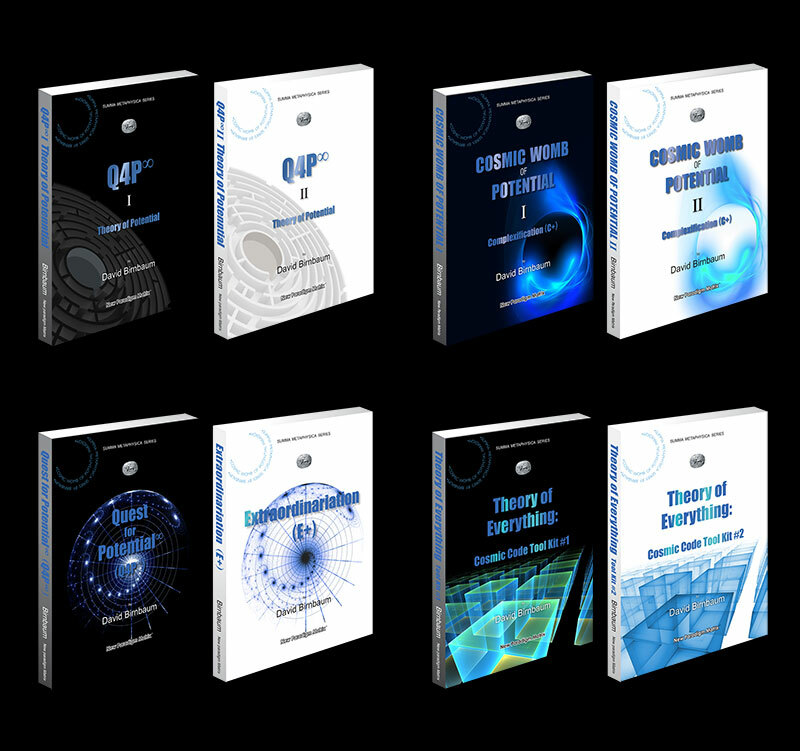 See also David Birnbaum Quest for Potential (Q4P), Theory of Everything, unified metaphysics philosophy. 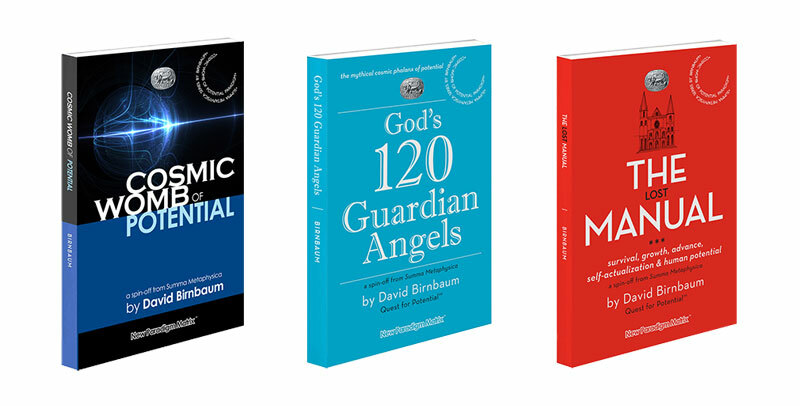 The David Birnbaum metaphysics/cosmology unifies physics, spirituality and philosophy.